Orchard Junior pupils had more than one reason to celebrate at the recent Worthing Schools football finals. 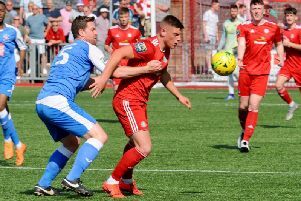 The Goring-based school saw their year five and six teams crowned champions of the tournament, which was held at Worthing FC’s Woodside Road home. Preston McDonald was the star for Orchards’ year five squad. Preston netted four times as they eased to the title courtesy of a comprehensive 10-3 final success over English Martyrs. As well as four from McDonald, Tyreece Keating and Rio Long were both at the double, with Harrison Hughes and Reuben West also on the scoresheet. Orchards’ year six team were also tournament winners in their age category. Frankie Spiteri, Harrison Langley and Daniel Tshingoma got the goals as they overcame West Park 3-1 in the final.